WorldofLuxury: It has been okay for what Lexus had to go through. I can't wait until 2012!!! Cory: I wish this was the front of the production car. MIKE DELORCA: Agree ! we can only hope that the GS-F makes it to production and is very, very similar. 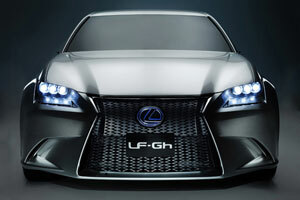 Lexus Cohen: This front end should be on the GSF!